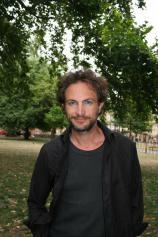 Marcus Sedgwick was born and raised in East Kent in the southeast of England. He now lives in the French Alps. He is the winner of many prizes, most notably the Michael L. Printz Award for 2014, for his novel MIDWINTERBLOOD. Marcus has also received two Printz Honors, for REVOLVER in 2011 and THE GHOSTS OF HEAVEN in 2016, giving him the most citations to date for America’s most prestigious book prize for writing for young adults. Other notable awards include FLOODLAND, Marcus’ first novel, which won the Branford-Boase Award in 2001, a prize for the best debut novel for children each year, MY SWORDHAND IS SINGING won the Booktrust Teenage Prize for 2007, and LUNATICS AND LUCK won a Blue Peter Book Award in 2011. His books have been shortlisted for over forty other awards, including the Carnegie Medal (six times), the Edgar Allan Poe Award (twice) and the Guardian Children’s Fiction Prize (four times). He has twice been nominated for the Astrid Lindgren Memorial Award, in 2016 and 2017. Marcus was Writer in Residence at Bath Spa University for three years, reviews for The Guardian newspaper and teaches creative writing at Arvon and Ty Newydd. He is currently working on film and book projects with his brother, Julian, as well as a graphic novel with Thomas Taylor. He has judged numerous books awards, including the Guardian Children’s Fiction Prize and the Costa Book Awards. He has illustrated some of his books, and has provided wood-engravings for a couple of private press books. In Paris in the year 1899, Marcel Després is arrested for the murder of his wife and transferred to the famous Salpetriere Asylum. The doctor assigned to his care soon realizes this is no ordinary patient: Marcel Després, Mister Memory, is a man who cannot forget. And the policeman assigned to his case soon realizes that something else is at stake: For why else would the criminal have been hurried off to the hospital, and why are his superiors so keen for the whole affair to be closed? This crime involves something bigger and stranger than a lovers' fight, something with links to the highest and lowest establishments in France. The policeman and the doctor between them must unravel the mystery, but the answers lie inside Marcel's head. In 1944, just days after the liberation of Paris, Charles Jackson sees something horrific: a man in a dark tunnel, apparently drinking the blood of a murdered woman. Terrified, he does nothing, telling himself afterward that worse tragedies happen during war. Seven years later, he returns to the city --- and sees the same man dining in the company of a fascinating, beautiful young woman. When they leave the restaurant, Charles decides to follow.